The stove was man’s unfailing helpmate in the olden days. The so-called “Russian stove” is a brick masonry heater, which is perhaps the most efficient and environment-friendly of all wood burning fireplaces ever invented by man. Throughout many centuries Russian stoves were used both for cooking meals, baking bread and pies, drying grains, mushrooms, and roots and for heating and drying the house in winter and autumn. Usually the stove is located in the centre of izba (peasant’s log hut). The traditionally big Russian stove keeps heat for quite a long time, and thus requires fueling it only twice a day. Such a stove has several (usually two) draught preventers. The smoke circulates through a complex labyrinth of pathways inside the stove and thus heats a great many bricks. To prolong the cooling down process, a horizontal flue is necessary: it is laid down in the attic, and is sometimes also used as a smoking chamber. Stove setters always enjoyed respect of the community as the art of stove-setting was of vital importance. An ill-set stove is very difficult to repair (reset), a bad stove smokes a lot and does not keep heat well, thus demanding overuse of burning wood. 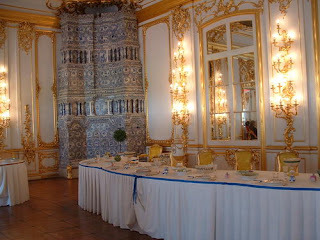 Catherine Palace Dining Room and Traditional Russian Ceramic Stove. There is a number of constructions of the Russian stove; there is, for instance, a version with two hearths, one of which is used mainly for quick cooking, whereas the other one for heating the house in wintertime. Cooking on the Russian stove makes food very tasty. Porridge, pies or pancakes made in such a hearth greatly differ in taste from the same dishes cooked through one-way heating, like that characteristic of a gas stove. The cooking process on the Russian stove is peculiar for an even heat area kept for a long time and could be called “simmering” or “soaking”. This is why certain dishes, such as baked milk, pearl barley porridge with mushrooms, potato or mushrooms in sour cream, etc. cannot be cooked in line with their authentic taste in different conditions. Bread is put into the stove and taken out of it with the help of a special wooden spade with a long handle. Iron pots with soup, porridge or milk are taken out with a special fork – a metal semicircular Y-shaped stick on a long handle. The Russian stove was not only a heater and a cooker, but also a doctor, healing the family folks from any colds. 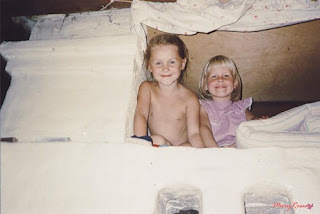 Moreover, it provided a perfect sleeping nook: the plank bed, arranged between the stove and a wall, just beneath the ceiling, gained plenty of warm air (which always ascends, following the law of physics). If necessary the Russian stove could even well replace a steam bath. It was done in the following way: the stove was fuelled to a very high temperature and when it got a little cooler, coals and food were removed out of it; then the bather would lie on a special wooden plank and be pushed right into the glowing throat of the stove. The walls of the stove would be splashed with water or diluted kvas to arouse dense “bread” vapor. Afterwards the hearth entrance would be tightly closed with a stove door, leaving the bather inside of it to sweat very well. The stove is heated, and so is water in big iron pots; afterwards the coals are shoveled into one corner of the stove, the ‘floor’ of the stove is covered with straw and banya is ready: you can get inside the stove and wash yourself, and even splash yourself carefully with a venik. 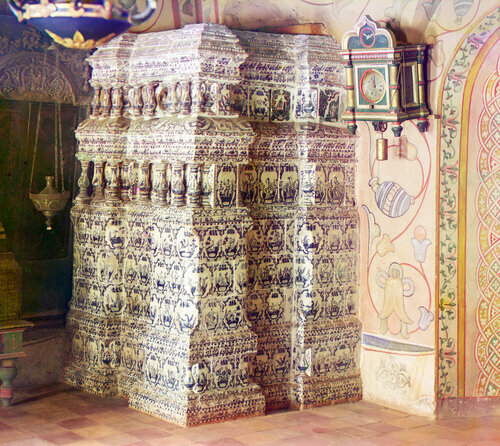 The Russian stove, being a most significant element of household, often turned into a folk personage, which can be found, in particular, in folk tales. Many good guys of Russian wonder tales are fond of sitting or lying on the stove. Thus, the epic strongman Ilya Muromets spends 33 years of his life lying on the stove before he takes to various feats, whereas another tale hero, Yemelia, unwilling to leave his warm stove bench, drives the stove as if it were a comfy car. Same love of the stove is inherent in Baba Yaga, the evil witch who uses it in her attempts to fry the kidnapped children or lost heroes. The Russian stove is often endowed with human features, such as speaking, feeling and thinking ability, like, for example, in the tale Geese and Swans : a girl looking for her lost brother comes across a stove standing in the open field and asks for its advice. The stove treats her with pies, and afterwards, on her way back, hides the girl inside it, saving her from chase. I have the plans for building a Russian stove somewhere. and in colder climates almost all of them included a design for a Russian traditional Russian stove. There is even still a web site in English that is called Russianstove.com that has information about the design and theory behind how it works and why it works so well.